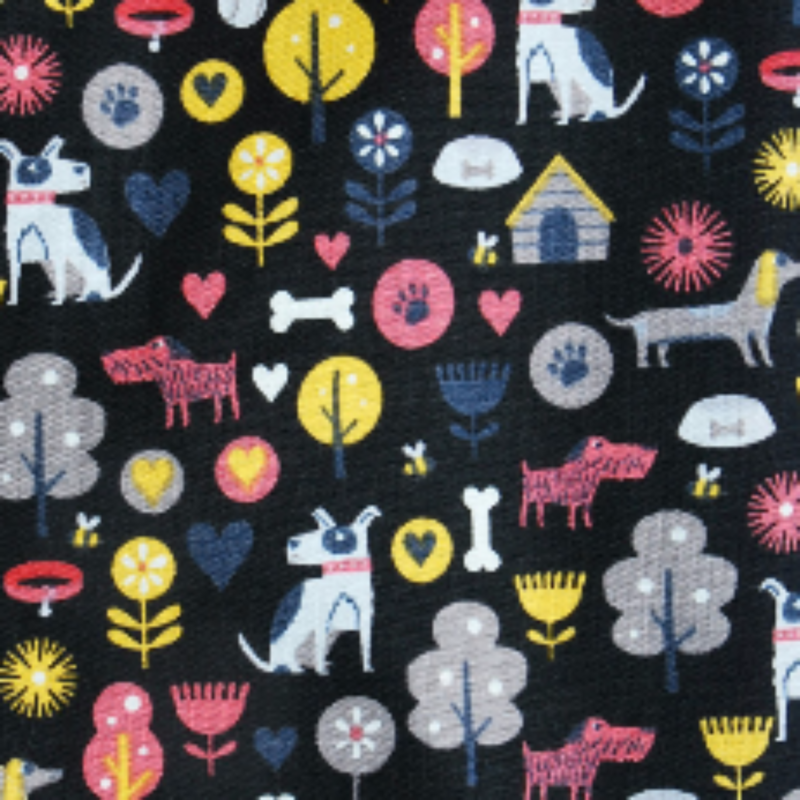 A gorgeous cotton dog Bow Tie with a sweet print of little dogs, bones, hearts, kennels, trees and flowers. It is a beautiful design, and is perfect for the fashion conscious, fun loving dog about town! (or country!! ).